Video from the funeral of H.W. Bush showed a front row of presidents at the Washington National Cathedral, standing and reciting it along with the program. 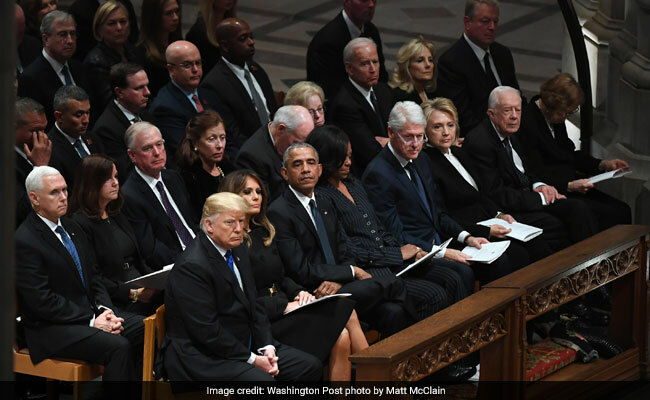 President Donald Trump stood with his hands folded in front of him during the program. "I think it is normal for a lot of people to choose what they say or don't say in church," Meyers said. "I can't presume to guess why President Trump chose not to say the Creed in this context. I can't speak for him."